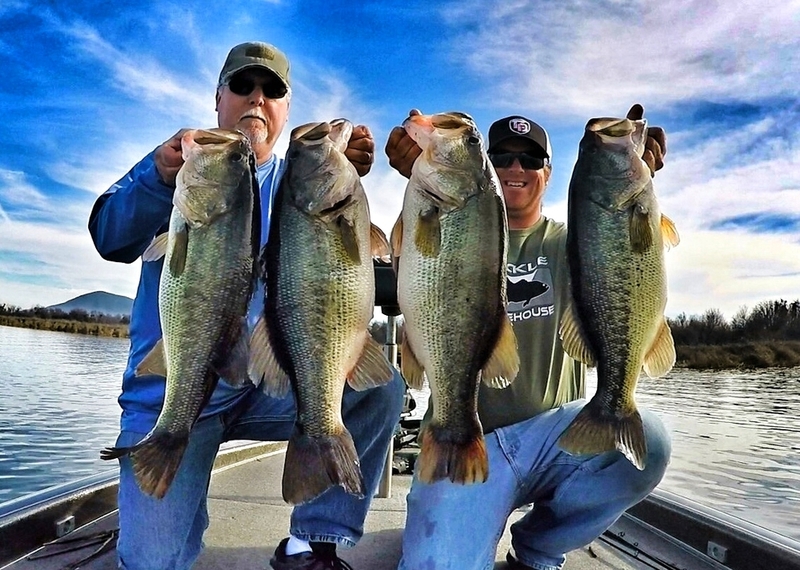 Matt Allen's guide service offers unique fishing trips for every level of angler. Whether you're looking for a relaxing day on the water or an intense hunt for a trophy-class fish, there is a package designed with you in mind. Take a look at the photos from previous successful trips or read what happy anglers have to say about Matt. A perfect day for a bass fisherman consists of arms sore from holding fish for pictures. Only Matt Allen will make you wish you had hit the gym before coming out and lifting lunks all day long. Please take a look at some photos from previously guided trips. And, really look for the straining muscles as they struggle to hold these goliaths upright! Matt's goal is to help you catch more and bigger fish. He will help you get more out of your time fishing! Matt excels at teaching just as much as fishing. You will learn not just how to catch bigger fish, but why they are striking when they do. He will do his best to provide a positive environment in which you can learn and share ideas. Matt can show you how to break down water and fish it properly. He offers you the chance to fish different locations that all have the chance to produce trophy-size fish. From the California Delta to fabled Clear Lake, Matt Allen has put in the time and is ready to show you where the monsters lurk.